Moments like these make me so proud of my husband and our lifestyle. 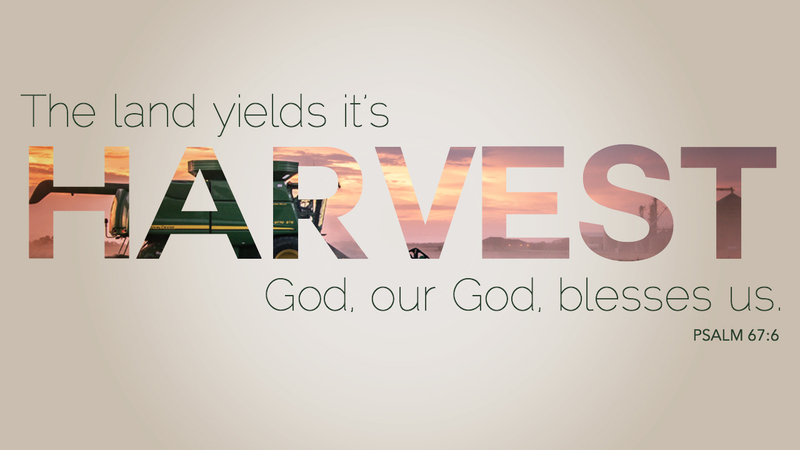 I grew up loving row crops, and have always been passionate about agriculture. Being more exposed to the livestock side of production has only increased my affection for agriculture. 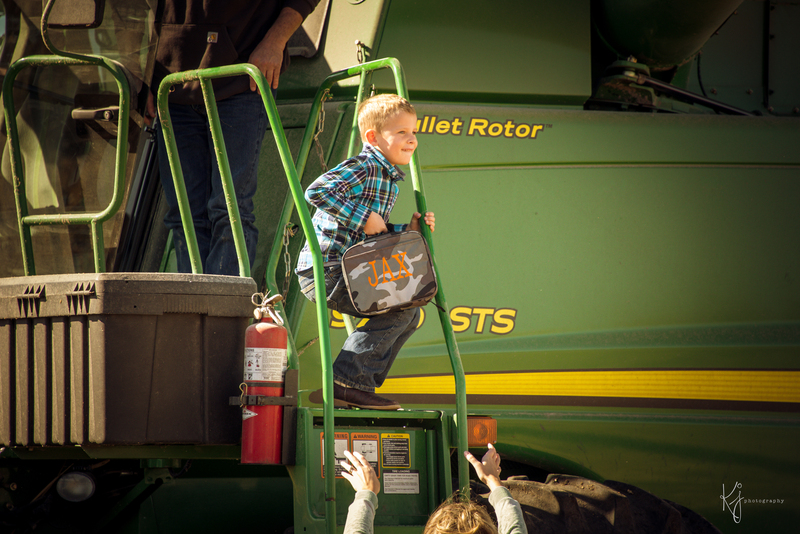 The hard work that farm families are doing to feed the world is something that often goes unnoticed and underappreciated. 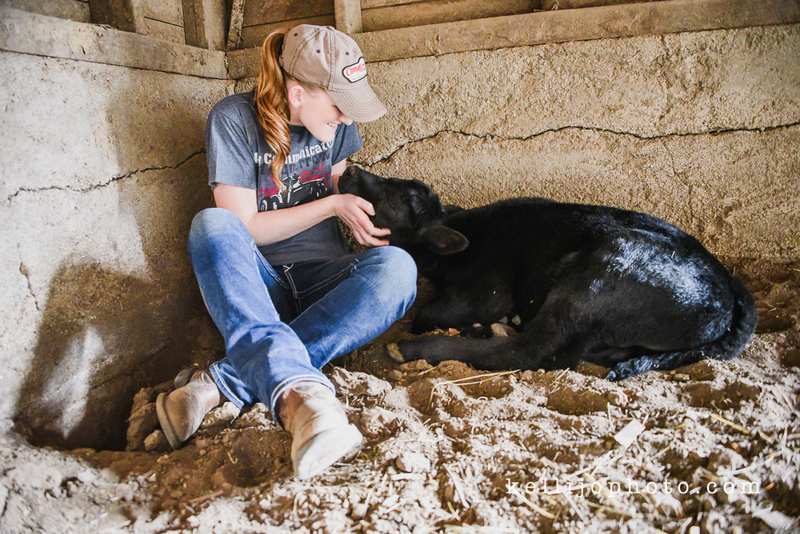 There are long days with late nights and early mornings… and having livestock means you often have to drop everything you are doing to ensure your herd is healthy, happy and safe. 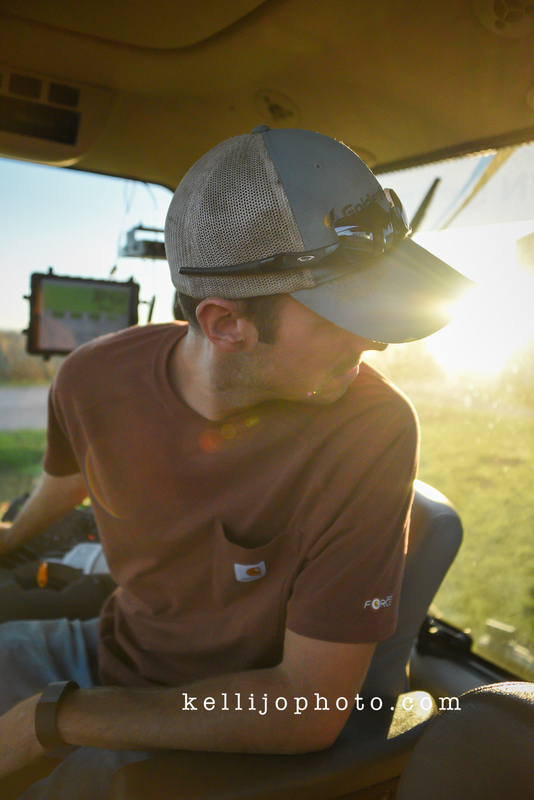 Thanks to all the farmers and ranchers out there for putting in long hours to feed a world that is far removed from the lifestyle we live. And to those of you who don’t know a lot about where your food comes from, just ask! 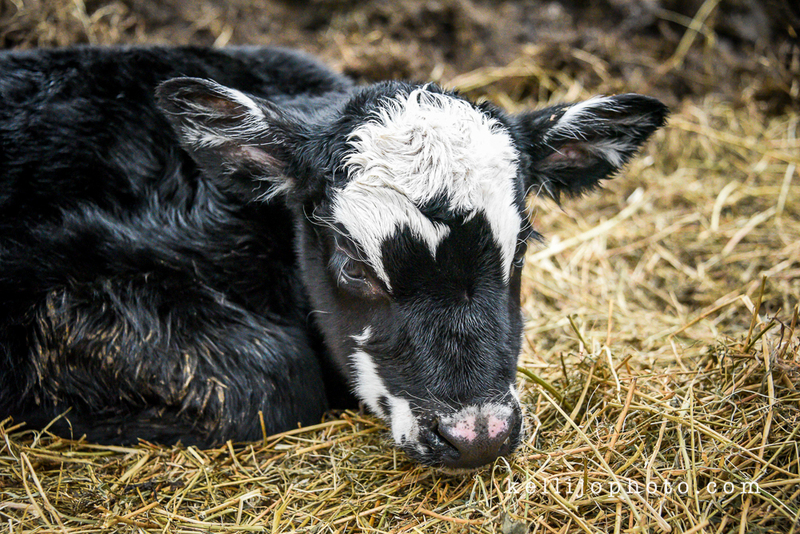 Bottle Feeding Calf Gisele February 7, 2018 from Kelli on Vimeo. 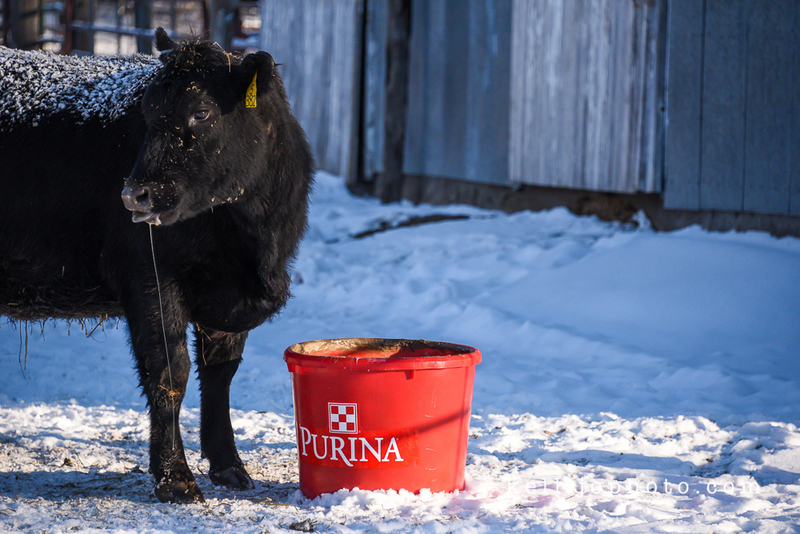 Lick tubs like this one from Purina, helps provide our mamas with all the minerals and nutrients they need in their last-trimester. 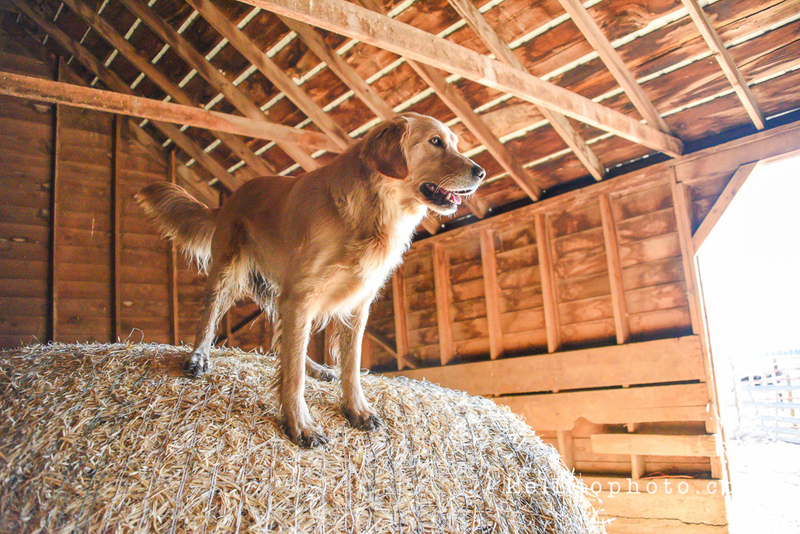 Summer (our dog) is very nosy during calving season. The cows are rotated around to provide them the best places to eat in each season. During the Summer they are at our house to graze on the pastures, during late fall and early winter they are out on the cover crops (turnip/radish mix) in a field and then they come back to our house so we can keep a close eye on them during calving. 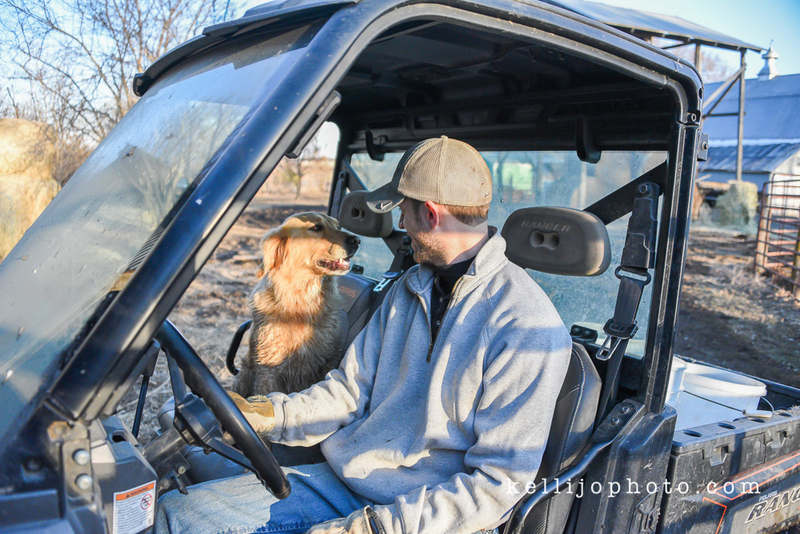 Summer is always curious when the cows return to our house after being gone for 4-5 months. 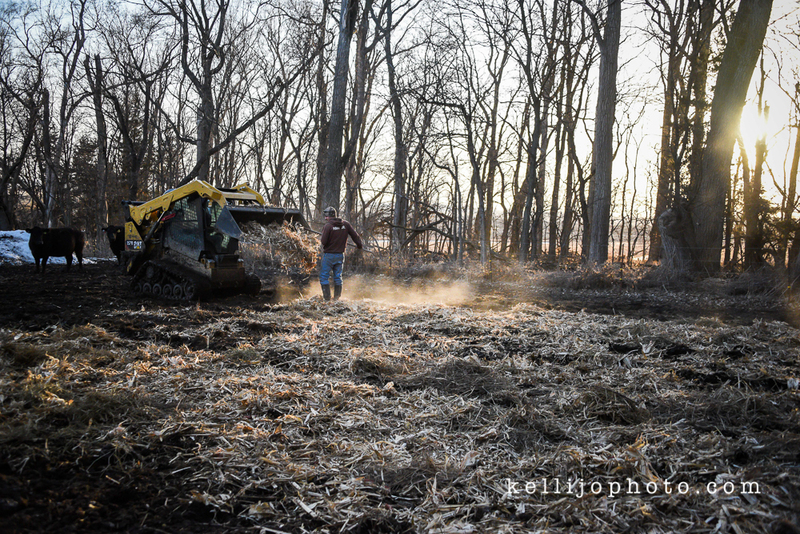 Laying down bedding for the cows to ensure they have a dry place to rest. 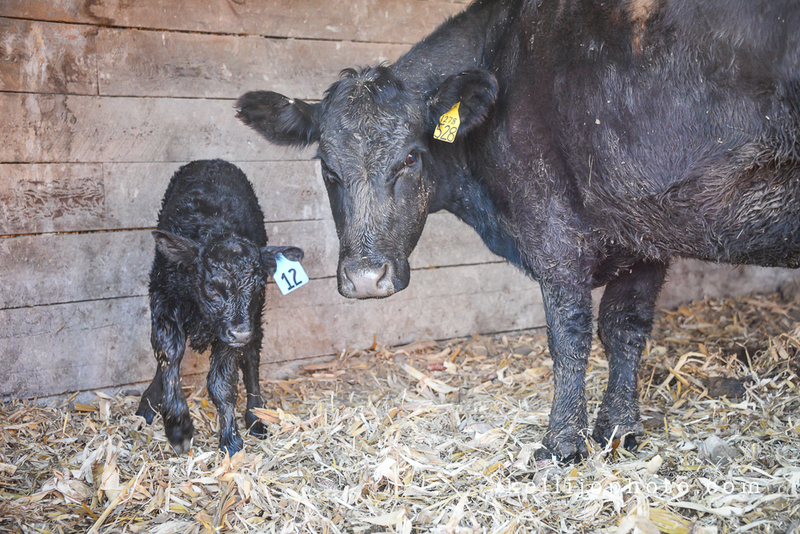 Finally more calves started to arrive. 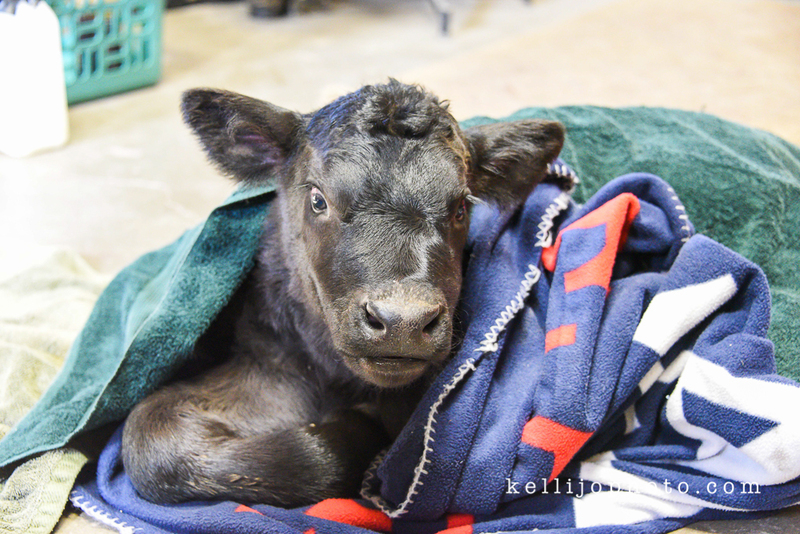 Any new babies that are born get moved into the protection of a barn with their mama, it’s still pretty cold out. But that means extra work, hauling water and food to each pen to make sure everybody has what they need each day. 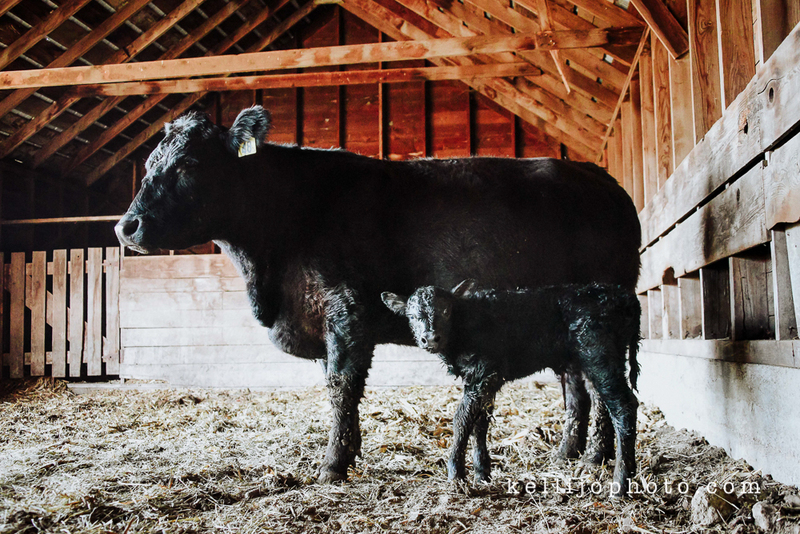 Every time a cow starts showing signs of labor it’s important to keep an eye on her and make sure she safely delivers the calf in a timely manner. 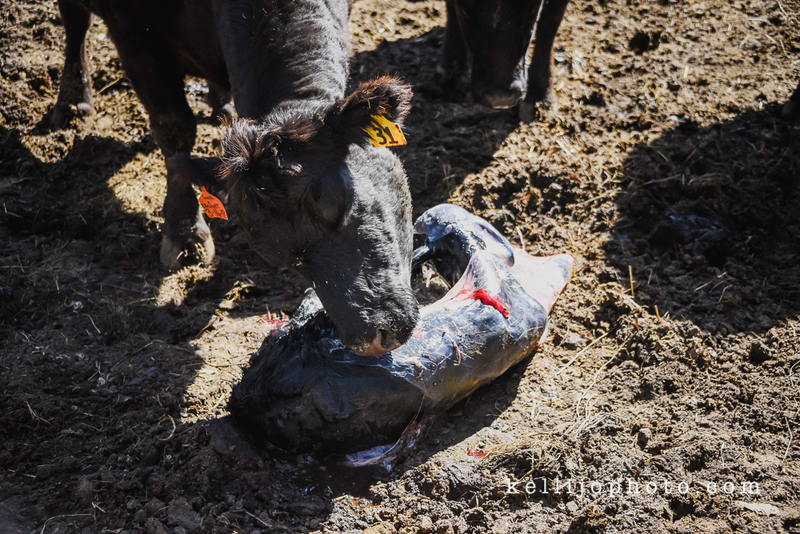 It’s always a relief when a calf is born and is able to stand up and eat on it’s own. 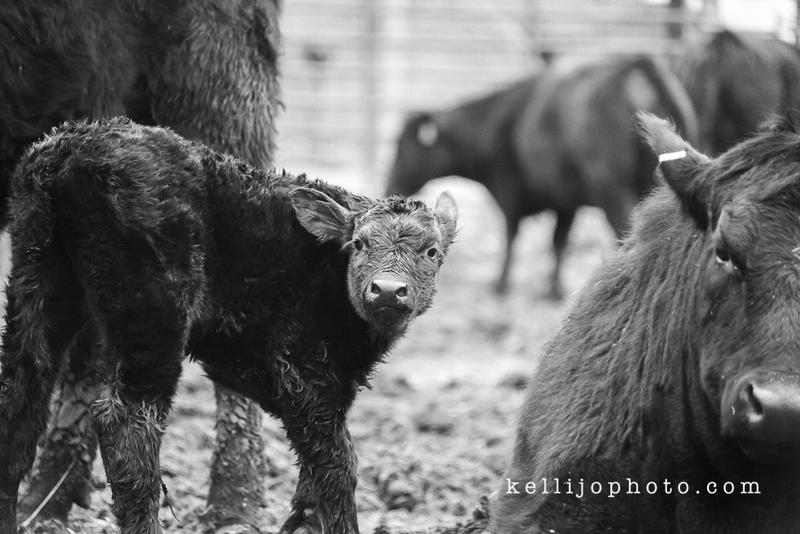 Each calf gets a close check up and is given an ear tag to help identify who is who after it’s born. 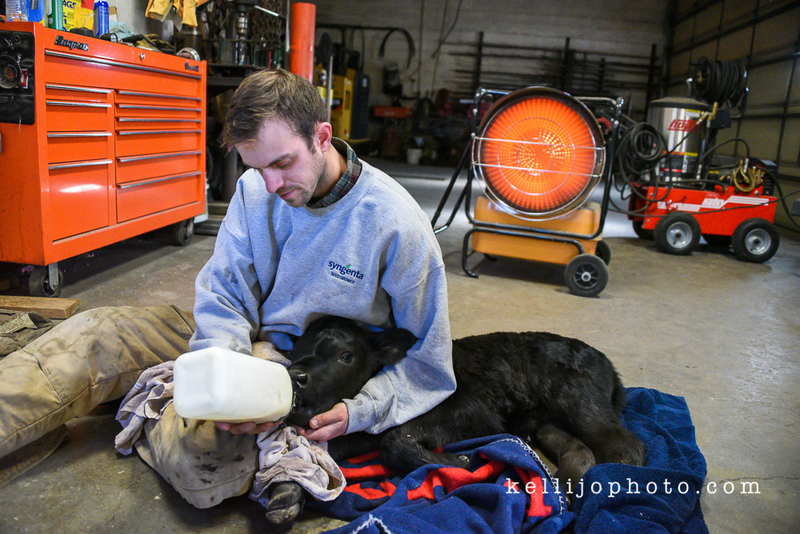 Most calves are skittish around people, but this one loved getting special attention. 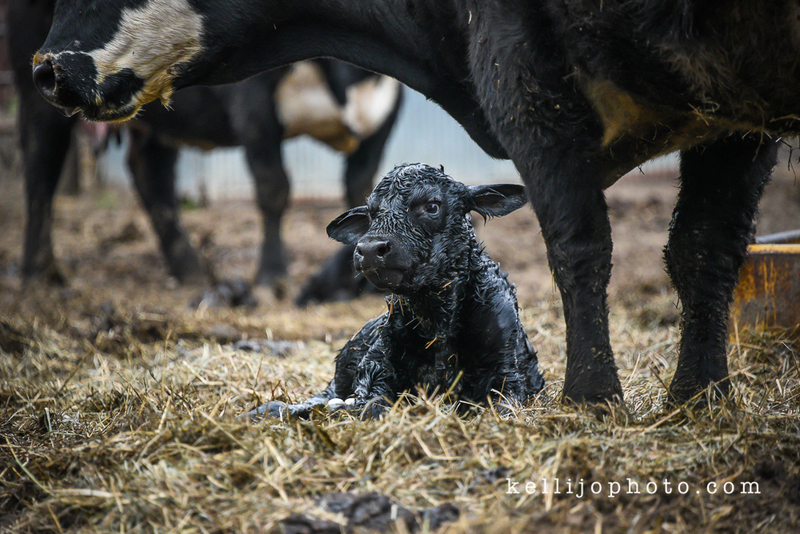 Overall this calving season was very challenging, but we were fortunate that the majority of cows were able to calve with no issues. Our herd is now happy to be grazing out in the pasture. 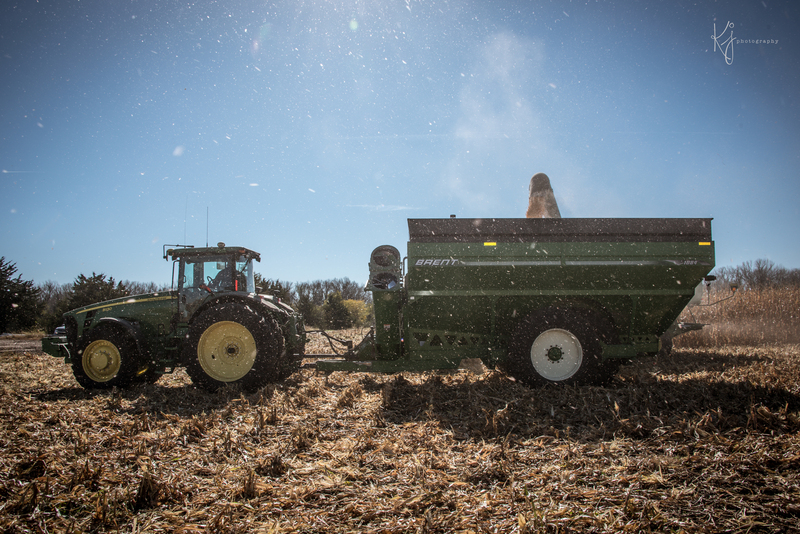 It’s the most wonderful time of the year… HARVEST is here! I love when my work for CVA collides with my favorite hobby. Got some much needed anhydrous photos last night. 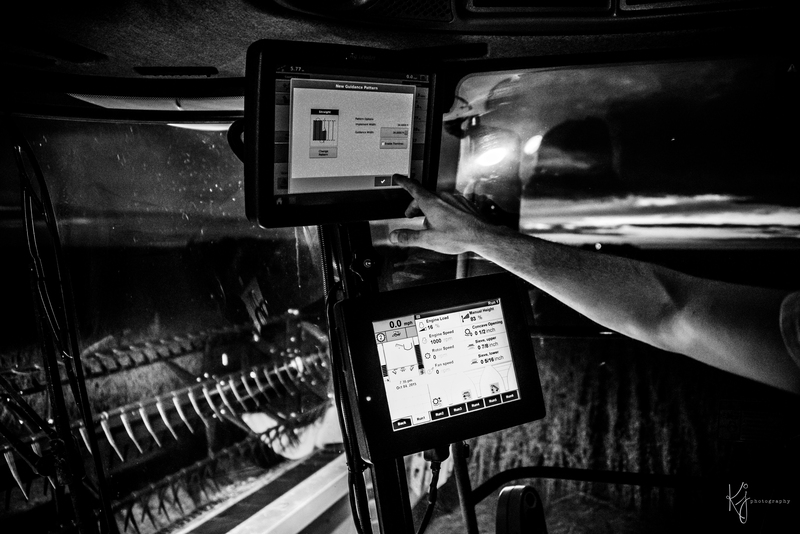 Prayers to everyone applying anhydrous – safety first. I give Jordan a lecture every time he leaves the house to apply NH3 but I don’t care accidents happen in the blink of an eye. In the Summer on Wednesday Nights we gather at the hill with friends to enjoy the sunset, have a few brews and catch up. It’s a nice way to break up the week and there’s nothing quite like a Nebraska Sunset. Planting is done, but the work is far from over. 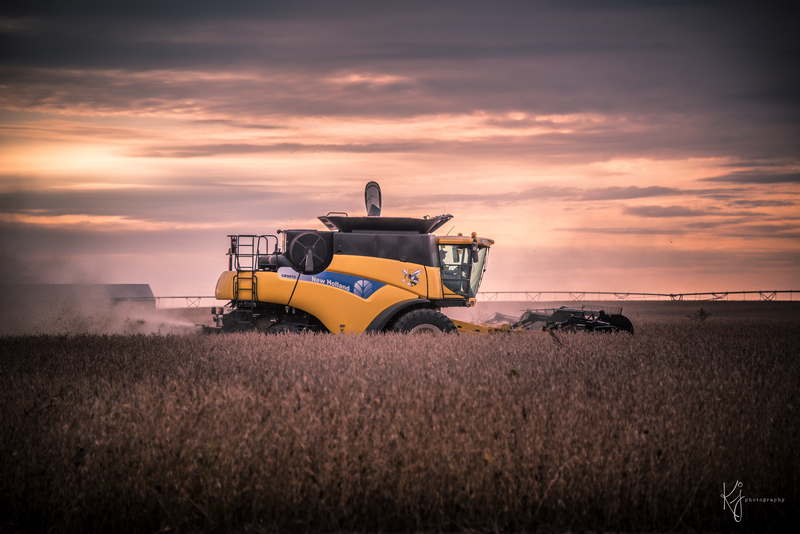 As the crops emerge farmers head back out into the field to ensure they have everything they need to bring bountiful yields this Harvest. 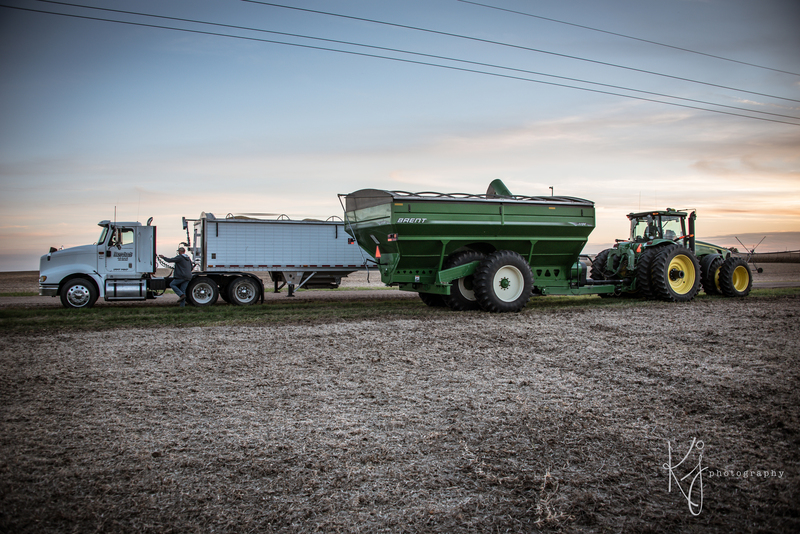 The weather for #plant16 tested our resilience. It was a wet Spring resulting in many challenges, and in some cases, flooding fields enough for some re-plant. 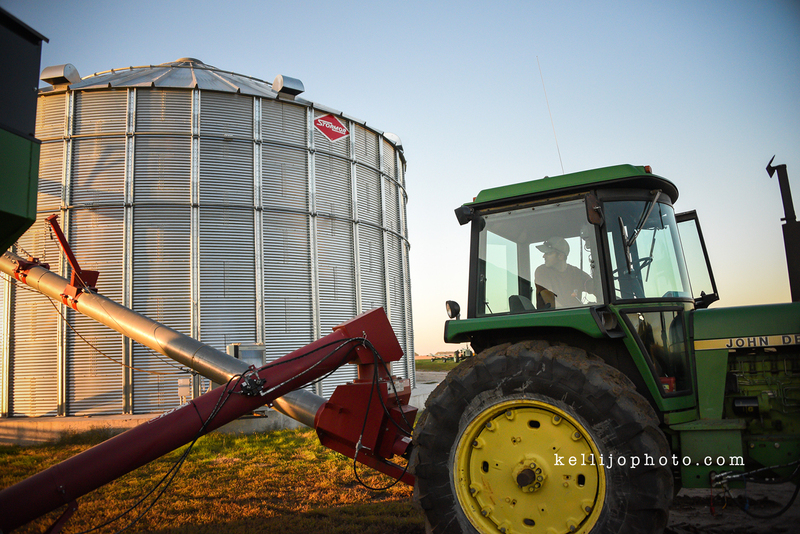 Here are just a few of my favorite shots from this year’s planting season. Now it’s time to pray that the rain we had this Spring continues to fall throughout the Summer. It’s Thanksgiving Eve! Tonight I will be reminded how thankful I am for friends, family, laughter, church pews, bar stools, Captain Morgan and the Dylan Bloom Band. But what else have I been thankful for this year? 2015 has been one for the books, and when I start to list off the things I am thankful for I can’t seem to stop… I got engaged to my best friend, my sisters family moved back to our hometown, my other sister is pregnant, I saw Garth Brooks in concert and Justin Bieber has finally made a comeback. 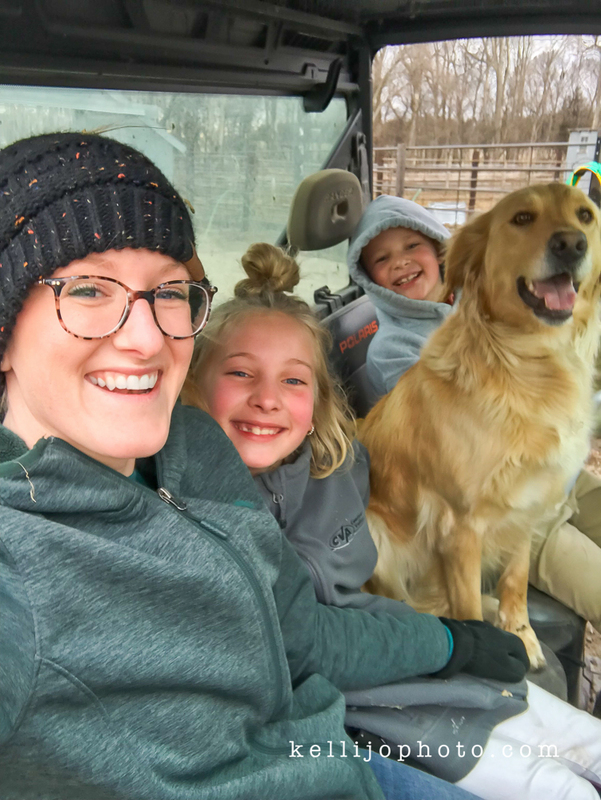 But to be completely honest the one thing that I am the most thankful for is my farm family … and the fact that I’m marrying into another farm family. 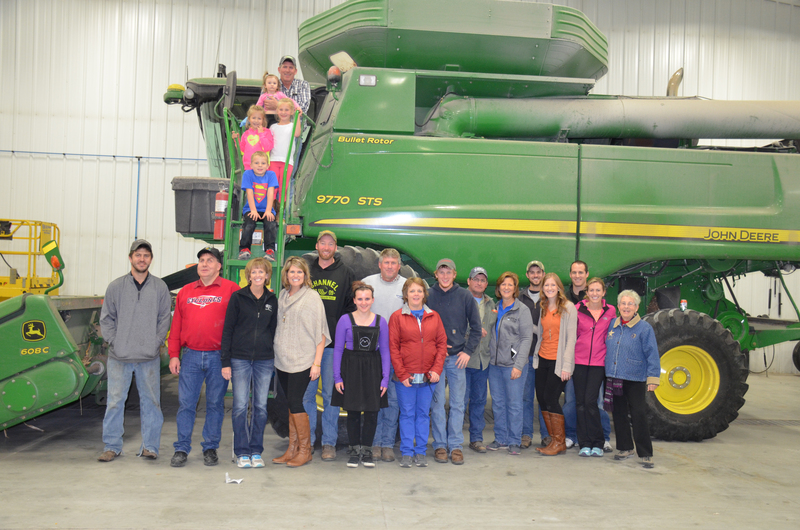 This year brought a beautiful harvest, and although grain prices aren’t so great, there is much to be thankful for. 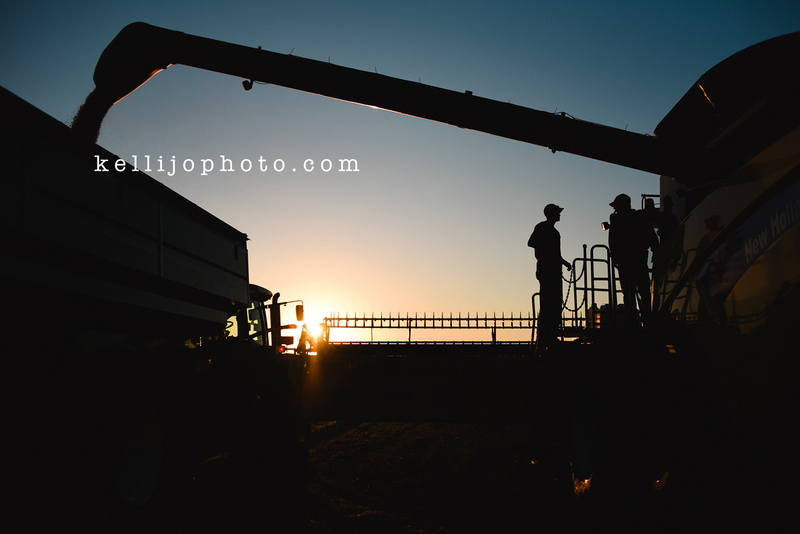 Everybody made it through harvest safely, the crop was harvested in a timely fashion, and I was provided with beautiful sunsets that let me go wild with my camera. When everything in the world seems to be going wrong, it’s nice to take my camera and find something to take a picture of that doesn’t bring sadness, hatred or fear into our hearts. 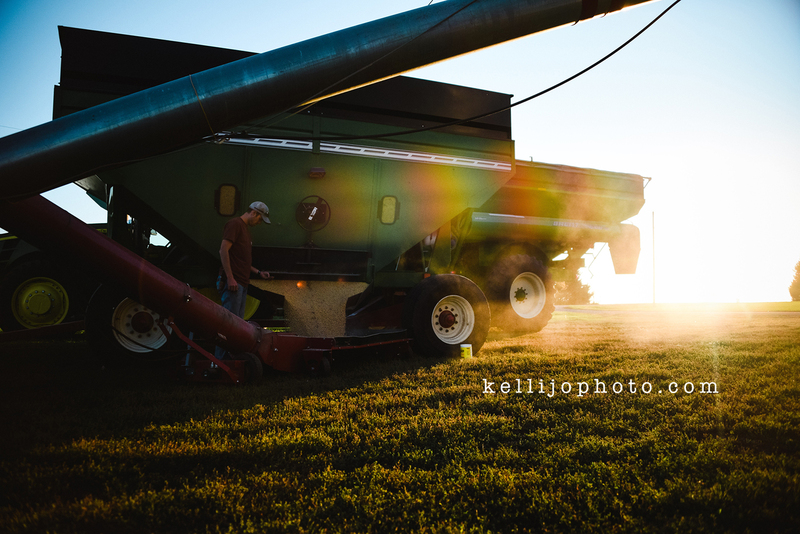 The images below are a collection of my favorite photos from this harvest season. 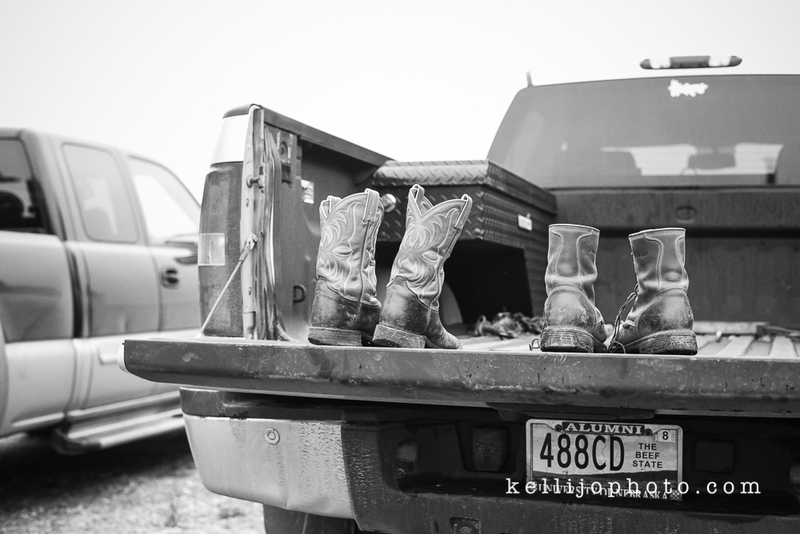 I think the world needs a few more farm families to get their priorities straight, but hey I’m biased. Don’t get me wrong I’m as basic as they come. 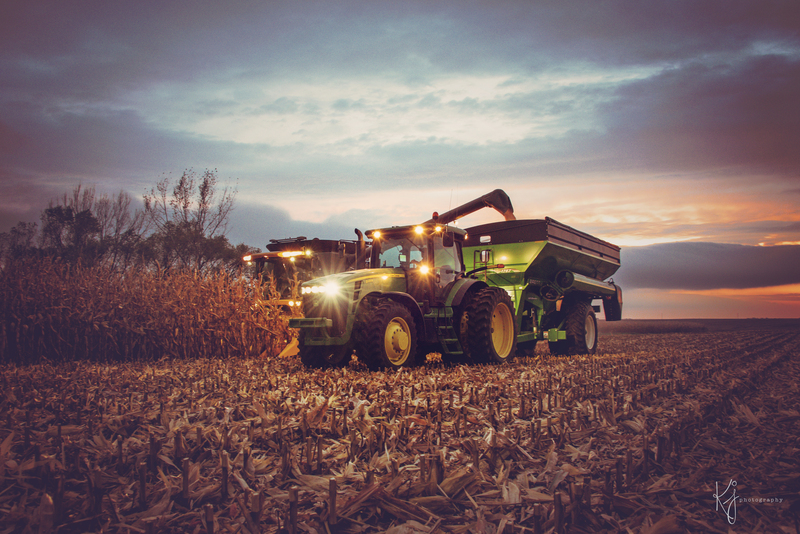 I love pumpkin spice lattes, sweaters, and scarves … but dusty gravel roads and John Deere tractors are a few of my favorite things about fall. This is what happens when you are released into an open field after 8 hours in the combine with Grandpa. 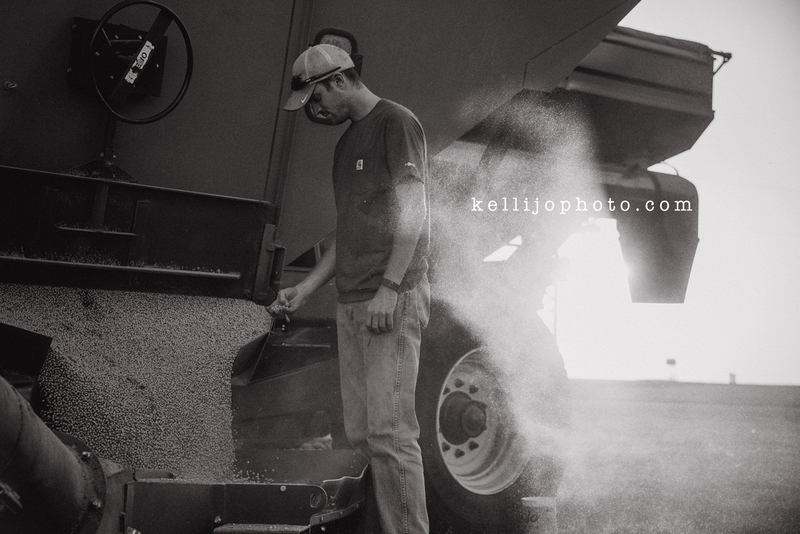 Oh hey, that’s my fiance in the grain cart! 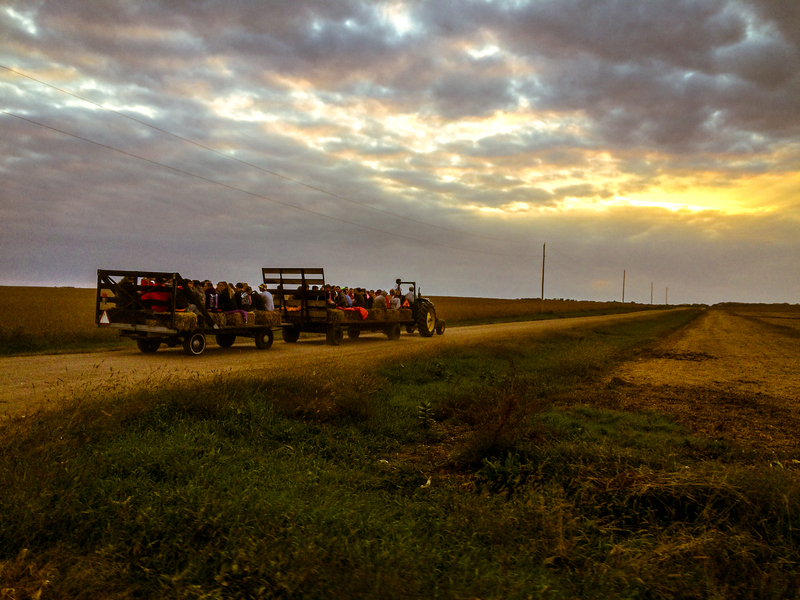 Youth Group Hayrack ride on a Harvest Night.